What’s the best way to choose a chiropractor in Augusta? You’re doing it! Spend some time here exploring our chiropractic philosophy and our patients-centric procedures. Our practice philosophy here at Southiere Chiropractic Associates is simple: To provide the best care we can for our patients. After you tour our website designed for Augusta-area residents searching for a chiropractor, call our Augusta chiropractic office to schedule your appointment. I’d love to meet with you and explain our unique approach to today’s chiropractic. 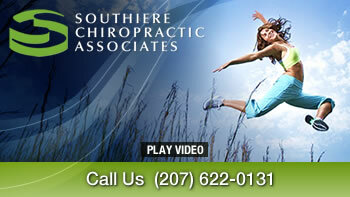 Providing quality chiropractic care to the Augusta & Kennebec County communities. Best thing I ever did. I wish I would have gone in sooner. It’s been a pleasure starting my healing process with Rich! Rich is an old friend, nice person, and very good doctor, I knew that I could rely on him now as in the past.